Maximuscle Thermobol is a unique fat burner made in the United Kingdom that is intended to help men and women get a leaner and more fit physique. It is also designed to help people in fitness training to get optimum results from their workout and it is made with natural herbal extracts. Thermobol is very much a product aimed at the sporty or bodybuilding fraternity and those who workout. 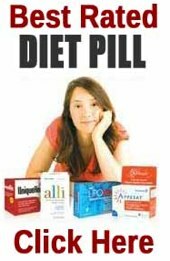 It is becoming of interest to the casual dieter, read our review and find out it is suitable for your situation. Positives: from a reputable manufacturer and a fair few endorsements. Maximuscle Thermobol is made with powerful herbal ingredients that are safe to use with few side effects. Unlike other products in this niche, it contains much higher amounts of these ingredients to get faster and more potent results. When it is used in conjunction with a sensible diet low in fat and a regular exercise program, there is tangible evidence that it will work for those who are highly mobile and exercise frequently. Bitter orange peel is an ingredient in the formula and it is known as an effective ingredient in many diet pills for curbing appetite and giving metabolism a boost. L-Tyrosince is an amino acid known to help in suppressing appetites and helps to promote thyroid health. Green tea extract is yet another popular ingredient that boosts metabolism and caffeine is included to boost alertness and sports performance. Maximuscle Thermobol is manufactured by MaxiMuscle, one of the most respected firms and the leading producer of sports supplements in the U.K. It is believed by fitness experts to be the best alternative to Ephedrine-based products that have proven to be less than safe for use. The makers, MaxiMuscle, are honest and upfront about the fact that Maximuscle Thermobol contains a large amount of caffeine. For this reason, it would be wise to avoid drinks that have caffeine while using this product to avoid the jitters and uneasy feelings. It is also recommended that this product not be taken after 3 PM if the user intends on getting a good night’s sleep. Women who are expecting a child as well as those with with a history of heart disease should avoid using this product. Most all weight loss products have somewhat anonymous testimonials on their home page, but to get a better read on how a product really works, you should research a few other less bias and independent websites. Maximuscle Thermobol is manufactured by a well-known and respected maker of sports nutrition products and are pleased that the potent ingredient profile is fully disclosed on the product. 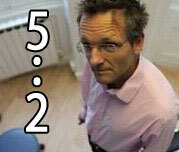 There is a large sample size of feedback available on the product that is mostly positive, another very good sign. They also note that it goes a step further than most products by not only boosting metabolism and mental focus, but Maximuscle Thermobol also contains a metabolic formula that helps users to achieve better muscle definition. Maximuscle Thermobol also has celebrity endorsements from boxing great Amir Khan and the Everton football and rugby club, who say the product helped them to reach maximum performance levels when needed most. Many personal trainers in the United Kingdom also recommend the product very highly. 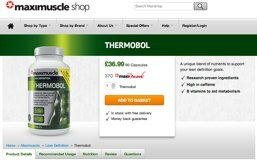 Maximuscle Thermobol is an effective product for mostly men who are looking to lose weight and better define their body. Those who are looking for a just a product that will help them to lose weight would probably be better served looking elsewhere. Maximuscle Thermobol has a large sample size of positive reviews and is manufactured by the nation’s leading sports nutrition brand, inspiring confidence in the product. If you are an athlete looking to maximize your performance or simply a serious bodybuilder looking to further define your muscle tone and body, this looks like a legitimate product in helping to reach those goals. Can be purchased from the Maximuscle website as well as a number of other authorised stockists. PhenQ is ideal for everyone, it is based on capsicum and suited for people who do not work out regularly. When it was first released it sold out after just 3 days selling 50,000 units in the process – it made headlines news. 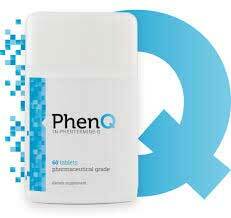 PhenQ is multi benefit, made from pharmacy quality ingredients and is available to buy direct without prescription.